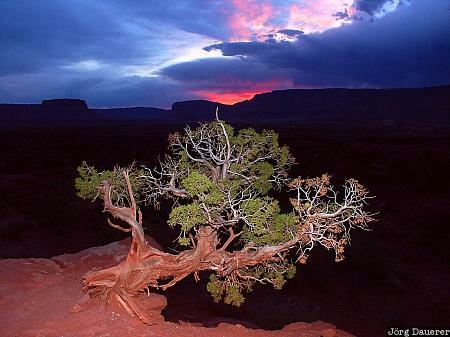 A tree partially illuminated by a flash gun (used as a fill flash) in front of a dramatic sunset seen from the Fisher Towers in southern Utah, United States. This photo was taken in the evening of a rainy day in October of 2003. This photo was taken with a digital camera.